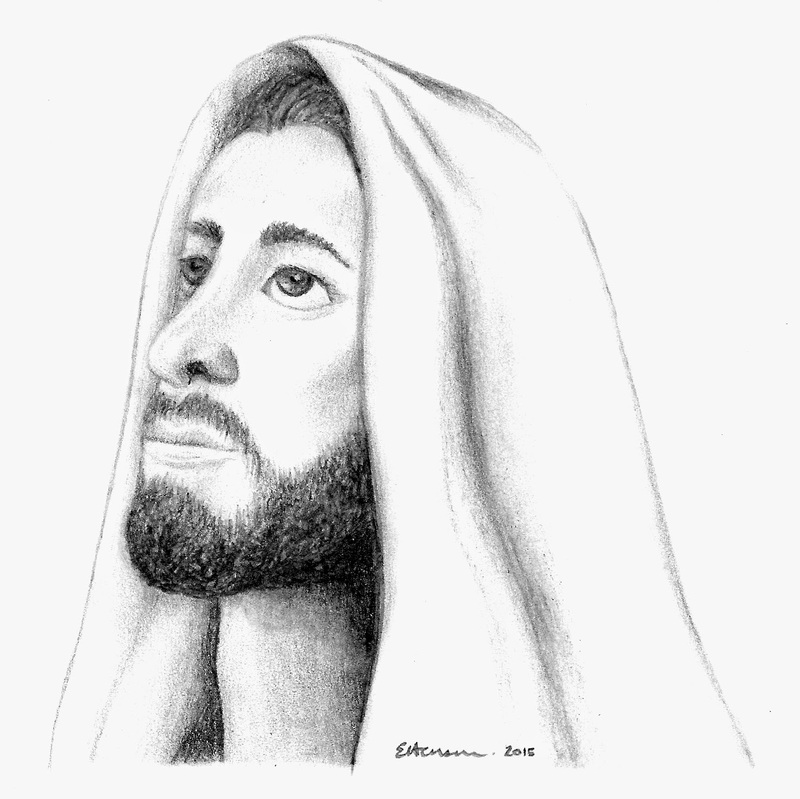 “Jesus was … a being of flesh and spirit, but He yielded not to temptation (see Mosiah 15:5). 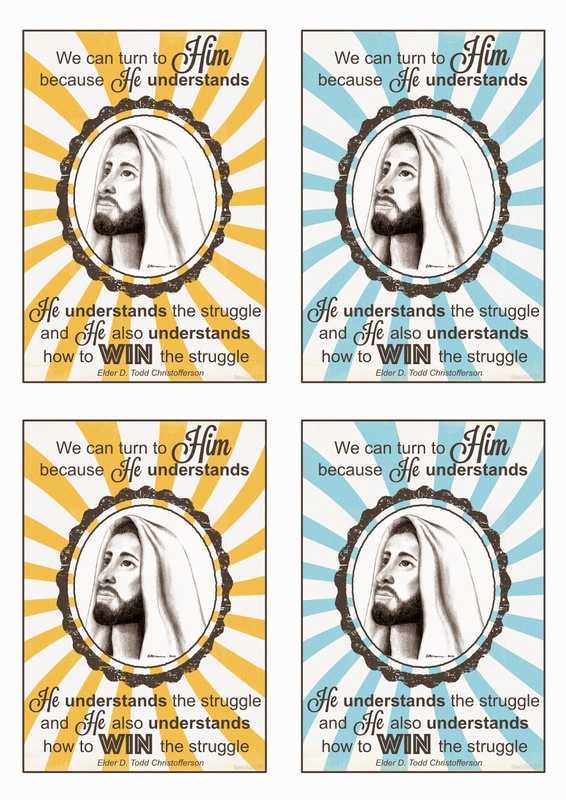 We can turn to Him … because He understands. 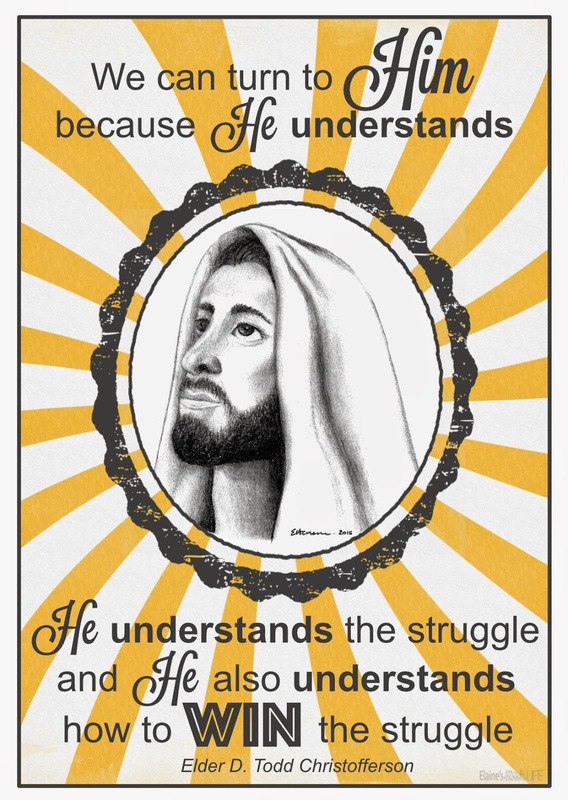 He understands the struggle, and He also understands how to win the struggle. …"
It was only recently that I fully appreciated the life experience our Saviour, Jesus Christ gained here as he walked on the earth. He lived His life just as we did; experiencing pain, sorrow, hardship and hunger. He knows, first hand, what it is like to work hard, worry about loved ones and struggle against the odds. When He speaks to us, it is with the true compassion only one who KNOWS what it's like can have. Through it all, He remained without sin, the perfect example for us. 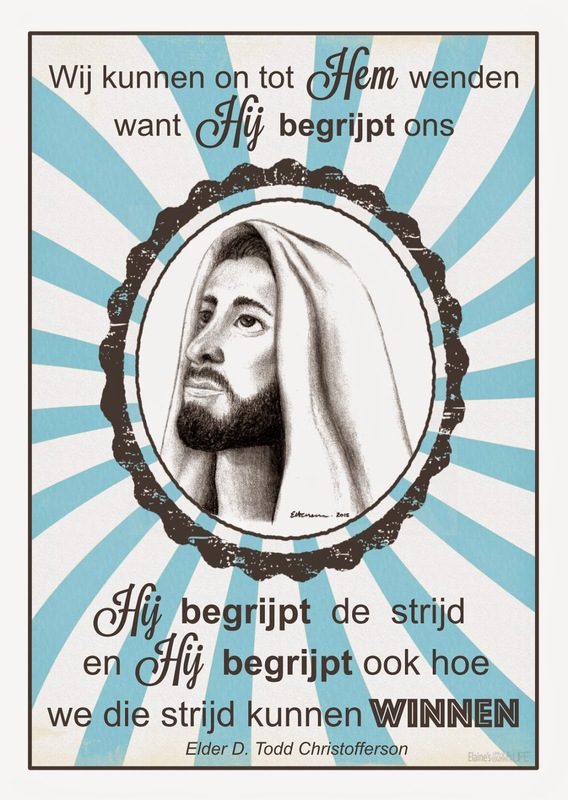 He gave us the template towards which we work, and also His Atonement, so that with every passing day, as we try harder to be more like Him, we can repent and become pure. 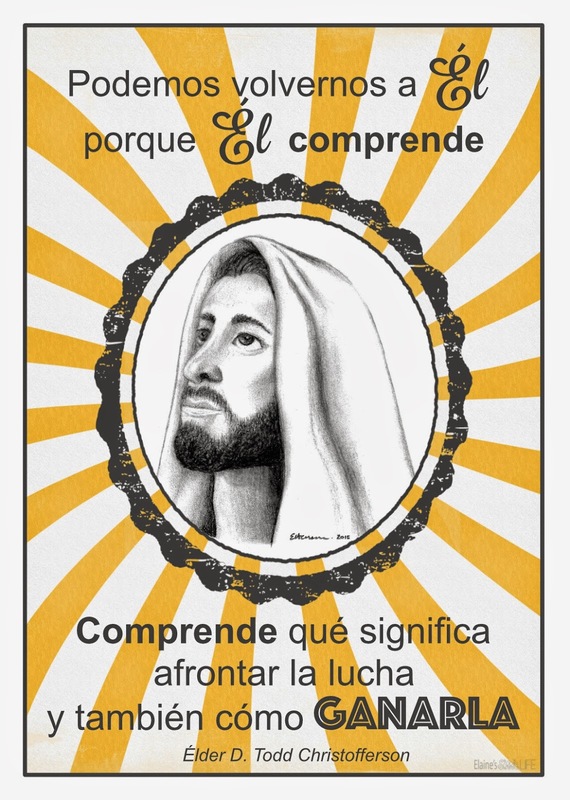 This image of Christ (that I have used in my handout) is my own artwork. It is free for you to use it as long as credit is given to me, and it is not used for commercial purposes. I hope you enjoy using the free handout I have designed as you do your Visiting Teaching this month. It is great to give as a reminder of the lesson you have given, or to pop into a card or letter. To download the .jpg of the handout, click on the image below, for a .tiff click here. 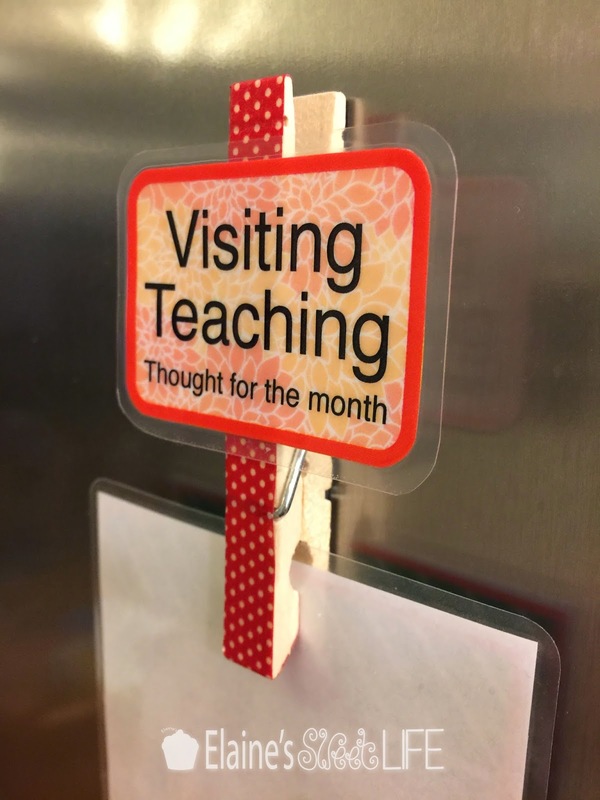 If you would like to make fridge magnet pegs to display your "Thought for the Month", click here for the printable and tutorial. This is such an awesome idea!! I found you through Pinterest. We have 2 sisters that are extremely hard to catch and this will make a perfect way to keep in touch a little better. Thank you! Thank you so much Cathy. I've been making handout like this for my own Visiting Teaching for years (or using ones that others have shared), they are great to take along and give to sisters at a visit to remind them of the message you have shared as well as to send to sisters in a card or letter when it's not possible to visit. I will get right on that! Thank you so much Wanda, that would be a huge help :) I have send you an email. I just discovered your site last month and I love it! Thank you so much for the fun ideas!